Looking for a fun destination for a weekend flight? Put Sporty’s on your list. We’re right on the runway at the Clermont County/Sporty’s Airport (I69) just outside Cincinnati, OH. 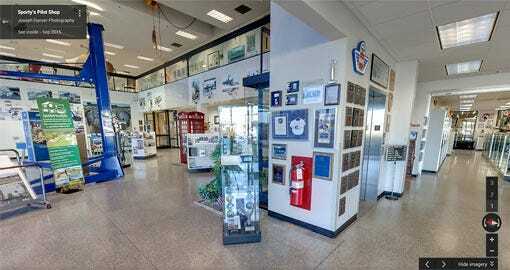 Our facility includes our pilot shop, flight school, FBO and much more. And, if you visit on a Saturday, you can enjoy our famous weekly cookout. Every Saturday between noon and 2pm, we grill hot dogs, metts and brats in appreciation of our customers. While you’re here, shop our retail store for hundreds of products that will make your flying safer, easier and more fun. Our knowledgeable staff will walk you through the benefits of an array of headset manufacturers and models. 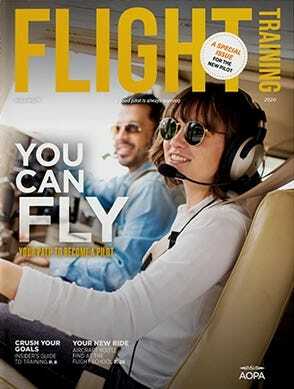 We’ll show you our latest iPad accessories and you can check out the new Cessna aircraft we have for sale. Try on a leather flying jacket. (Come on, you know you’ve always wanted one.) Take a look at our posters and other aviation-themed home décor. In short, you can see all the products featured in all our catalogs up close and personal. Our airport has a 3700-foot runway with GPS and VOR approaches. Sporty’s hosts a fully-functional weather center for flight planning. Vending machines offer sandwiches, snacks, candy and a host of beverages. Spotless public restrooms, including showers. Avgas and Jet Fuel prices are kept low to make topping off affordable. Children are welcome: kids play in a dedicated outdoor play area. Wile away an hour or two sitting on a bench watching airplanes take off and land. Clermont County/Sporty’s Airport is one of the most beautiful little airports in the country. Come for a visit. You will be among friends. For our fly-in customers, you can find us on the Cincinnati Sectional, just east of Cincinnati. Just enter Direct-To I69 in your GPS. Our full-service FBO offers 100LL AvGas and Jet A. A full flight planning area with WSI Weather, Meteorlogix and live Doppler Radar is available. We would also be happy to sign your logbook. If you’re driving, Sporty's address is 2001 Sporty's Dr., Batavia, OH 45103. Take I-275 to the Batavia-State Route 32 East exit. Go three miles and take the Olive Branch-Stonelick exit, then follow the airport signs. Walk around Sporty's from your computer – visit our headquarters, including our store and flight school.